When you scratch the surface, you’ll find barbecue is riddled with controversies. One of them is how aggressively to season brisket before throwing it on the smoker. Just remember: The purpose of the seasoning is to flavor the brisket without camouflaging its smoky, inherently beefy taste. My advice is to start with the Dalmatian rub, add hot red pepper flakes, and graduate to a more sophisticated rub. 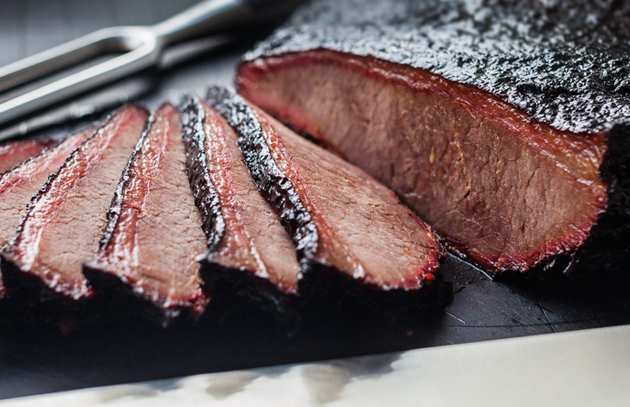 If whole packer briskets, which can weigh up to 18 pounds or more, are too large for your family, begin your brisket trials with flats, preferably in the 5 to 6 pound range. Pat the meat dry with paper towels, then transfer to a rimmed baking sheet. With your hand several inches above the meat, evenly sprinkle the surface with your preferred rub. Distribute it with your fingertips, if necessary. (I recommend wearing disposable gloves.) Turn the meat over and repeat on the other side. Don’t forget the sides and ends. If using a rub containing salt, apply it shortly before you’re ready to begin smoking. If applied too early, the salt will leach moisture out of the meat, essentially curing it. Just a word of advice: The price of spices seems to have skyrocketed lately. Sometimes, I find the best prices online. Amazon.com, for example, sells a pound of 16 mesh (mesh refers to the coarseness of the grind) for $14.98 per pound, significantly less expensive than if I bought pepper from the supermarket spice rack. At any rate, here are three dry rub recipes to get you started. This is a basic rub I’ve been using for years. It features just four ingredients—salt, brown sugar, paprika, and black pepper—but is infinitely customizable with the addition of garlic powder, onion powder, celery seed, chili powder, etc. As always, make sure your spices are fresh, and purchase them from a purveyor with high turnover. Record any changes you make to the recipe to ensure you can replicate the rub again. As cowboys from the American Southwest discovered in the 1800s, coffee and beef go well together. 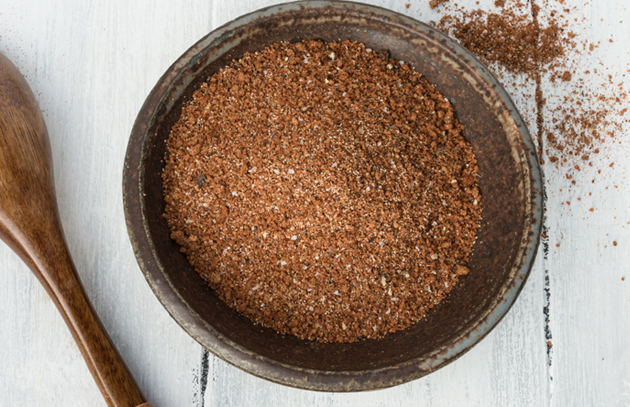 Here, ground coffee beans form the backbone of this unique rub, laced with cinnamon, cumin, and brown sugar. It’s been a winner for Joe Carroll, the chef/owner of Fette Sau. 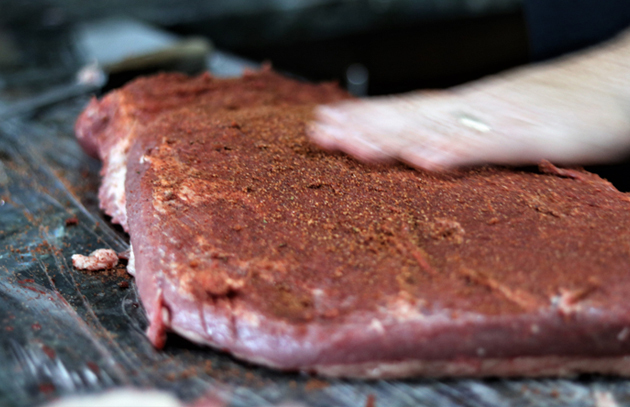 The addition of pimenton (Spanish smoked paprika), which was once obscure but can now be found in the spice aisle of most grocery stores, will magnify the smoky flavor of your brisket. Though more esoteric, a Chilean spice mixture called merquen can be substituted for the pimenton. Once little known in this country, it was invented by the Mapuche Indians, a tribe indigenous to Chile, and features smoked horn peppers. You can currently buy it online, but in all likelihood, you’ll see it in stores soon. Want more brisket? Check out The Brisket Chronicles, which will be released this spring. Pre-orders are being accepted now.